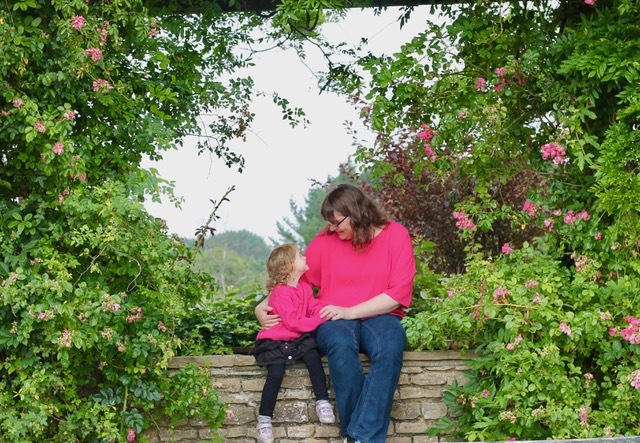 Sisterhood, motherhood and my fantasy travel destination. Old meets new (almost head on) in India. Well, these Q&A posts seem to be like buses, I waited ages for one and now two more have come along. 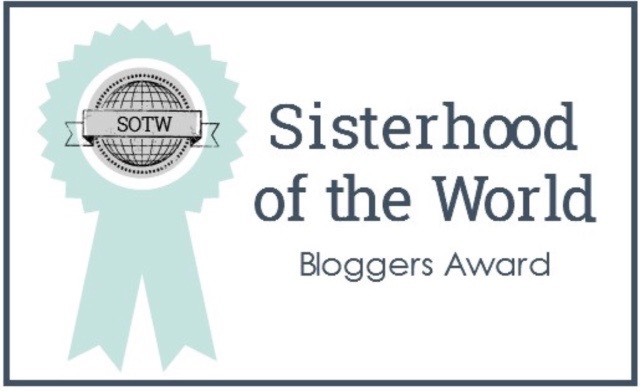 I’ve been nominated by Clare who blogs brilliantly at Mud and Nettles for the Sisterhood of the World Award and the lovely Lisa (does that make it sound like she’s a quiz show contestant?) at Into The Glade for a Love/Hate post. I’m pretty sure a long, long time ago the wonderful Wide Ranging Ramblings also nominated me for an award but I’ve completely forgotten about it until now. So, so sorry! That one got away from me. 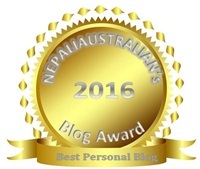 Link to and thank the person nominating you. Answer questions set by the person who nominates you. Nominate 10 inspiring female voices. 1. What is your favourite childhood memory? I’ve thought about this for days and I still can’t pin down just one. I was very lucky to have a really lovely childhood and my memory bank is full of happy times. 2. What do you do to unwind? I write. Or read. Or colour. Or Pinterest (hours lost scrolling). 3. What is your fantasy travel destination? This is my favourite question and actually my answer fits in with the “sisterhood” nature of this post. You see, I have a fantasy about travelling through India with Freya when she’s a teenager. I was lucky enough to spend a week in a very rural part of Andhra Pradesh for work and I thought it was the most beautiful place. We met some amazing women from the Deccan Development Society who challenged so many of my preconceived ideas. The women are being empowered by being taught how to organically tend the land and grow their own food, which in turn gives them a new found dignity and standing within their villages. There are so many spin off projects associated too, like the video production above which helps them spread their message. Anyway, I could talk/write for days about this grass roots project and how inspiring it is but that’s not what this post is about. I’d like to take Freya for six weeks, if they still have the long summer holiday then (and I have the time and money), and lend a hand at different projects along the way. This is part of me attempting show not tell parenting and letting her draw her own conclusions. Hopefully it will be a safer place for all women by then. Oh, I got Thunderstorm: Out In the Fields. Not some obscure band but white noise I sometimes listen to to quieten my brain before bed. Because I work at night it’s often a case of writing up to the very last second before my head hits the pillow and then I just lay there thinking about how I should have used a different word there or said that here. A nice thunderstorm helps. 6. Gym or cake? I’ll say gym but it’s more likely to be cake at the mo. 7. Who is the most inspirational person in your life? My mum and dad. No idea what I would do without them. 8. What was the last thing you learnt? I had to look up the word apposite. It was used in an email but I always thought it meant something which wouldn’t make sense in that context. Now I know. 9. What was your favourite subject at school? I hated school but if pushed I would say English. 10. How did you meet your significant other? This probably deserves its own blog post. We were online gamers, living at opposite sides of the country. We met “in game” and over a period of a year or so became friends. At the start I was still “all people on the Internet are weird” and wouldn’t even give my real name but then we became Facebook friends and we’d instant message and text all the time. When he became the first and last person I spoke to every day it was clear that we really liked each other but, of course, we hadn’t met. One night we started talking about meeting up and one of us said “let’s do it, let’s meet” and the other said “how about now?” So he drove from Birmingham and I drove from Norwich and we met roughly half way in Cambridge for chocolate cake. Nine months later he transferred his job and moved in. So, I’m going to tag some people but if you don’t want to do it that’s fine (and if anyone else wants to tag themselves please do). Jenni at Odd Socks and Lollipops, Wide Ranging Ramblings (also by way of an apology) and my fellow journalist NewshoundNovelist, who is like me and loves answering questions. This is mega cheating but I’m going to reuse some of Clare’s questions because I really enjoyed them. 1. If you could do any job what would it be? 2. What do you do to unwind? 3. What is your fantasy travel destination? 4. What is your favourite drink (alcoholic or otherwise)? 6. What do you consider a luxury? 7. Who is the most inspirational person in your life? 8. What was the last thing you learnt? 9. Do you have a family tradition? If so what is it? 10. How did you meet your significant other? I’ll do a love/hate post shortly. Previous postMy Sunday Photo – Week 29. Next postWhen sorry seems to be the easiest word*. I hope so! How did you two meet? I knew a little about how you met your other half (online gaming) but didn’t know about your first meeting. That’s so lovely! I enjoyed this 😊 out of interest – what game were you playing? Aww…what lovely answers. You are truly an amazing woman.